plentiful. If you find yourself on the fence, I hope this post might help you to determine if dynamic campaigns are right for you. Dynamic search campaigns can help ensure you have full coverage on queries that otherwise might be missing from your search campaigns. Google notes that this is helpful for a product list that is often changing. While that is true as a fail-safe for a product or two that might not be included in regular search campaigns yet, I wouldn’t suggest relying fully on dynamic search for product coverage. It’s still a good practice to try to keep your search campaigns up to date with product keywords. Still, DSAs can be very helpful for advertisers that have a lot of products – just in case a few might have slipped through the cracks. Keep in mind also that Google will only provide query coverage based upon your site’s organic index. If your site isn’t well optimized, you might not want to spend the time and money to try to amp up dynamic search ads, or you flat out may not be able to amp it up if you don’t have many pages indexed. My personal favorite thing about dynamic search campaigns is that they canvass queries that might not have mapped to the account even if the product in question has been included. The way consumers search is always changing; dynamic search ads can help you expand your keyword list with terms that you might not have previously considered. On the flip side of the same coin, you have a little less control over the queries that your ad is shown for so it’s important that you can dedicate the time to reviewing search query reports (among others) to make optimizations. Dynamic search ads aren’t limited to the character limits of regular text ads, which can be attention grabbing. In addition, headlines are dynamically generated to be relevant to the searcher’s query. The flip side of that same coin is that it’s important to set up dynamic search campaigns with care, using negatives and exclusions, so as not to dynamically generate an inaccurate headline. I would be hesitant to utilize DSA for products that are highly regulated for fear of what might be dynamically generated. Because of the extensive coverage that DSA campaigns provide, they make great RLSA campaigns. This is a great way to capture previous visitors even if they are using relevant queries that wouldn’t have otherwise matched your keyword set. You can leverage remarketing lists the same way that you would for any other search campaign to re-engage previous visitors across a range of keywords or products that are relevant but not in the account. In summary, Dynamic Search Ads offer a lot of benefits – especially in terms of account expansion and query coverage. Dynamic search campaigns aren’t for everyone, though. DSAs aren’t the best for regulated or sensitive content and they don’t tend to work well with really small or poorly optimized sites. In addition, although they are marketed as campaigns that can save a lot of time (and they can! ), they do still require continuous optimizations so it’s important to ensure you can allot time to optimizations, as with any campaign. Last but not least, Google notes that they aren’t good for daily deal sites – although they do note that they are working to improve the campaigns so that daily deal sites might find more value in DSAs in the future. Check back next week for the second and final post in the DSA Series, which will include tips for making the most of DSA! Amy has run the digital marketing gamut, with integrated experience across several industries, including management of start-ups to Fortune 500 companies. Before joining Clix, Amy was an Account Supervisor at Hanapin Marketing and an Account Director at DAC Group. Amy’s previous roles have included responsibilities in account leadership and strategy, team management, reporting and data analysis, training, blogging, new business and project process/efficiency. When Amy isn’t nerding out, she enjoys traveling, spending time in the great outdoors and cheering for Purdue. You can find Amy speaking at HeroConf 2015 and tweeting as @hoffman8. Amy has run the digital marketing gamut, with integrated experience across several industries, including management of start-ups to Fortune 500 companies. Before joining Clix, Amy was an Account Supervisor at Hanapin Marketing and an Account Director at DAC Group. Amy’s previous roles have included responsibilities in account leadership and strategy, team management, reporting and data analysis, training, blogging, new business and project process/efficiency. When Amy isn’t nerding out, she enjoys traveling, spending time in the great outdoors and cheering for Purdue. You can find Amy speaking at HeroConf 2015 and tweeting as @hoffman8. Great post Amy! 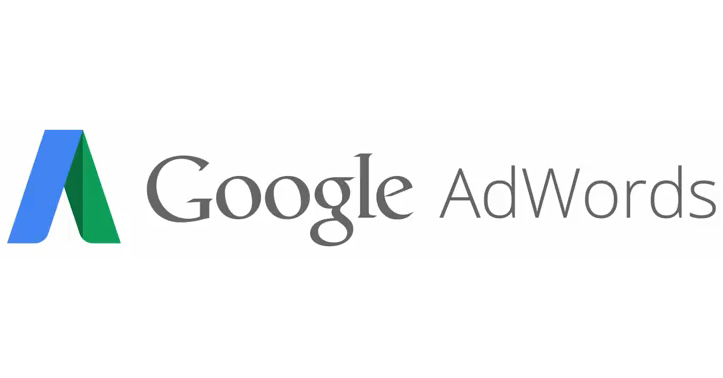 I am a huge advocate of Dynamic Search Ads and believe they are too underutilized in the PPC world. Coincidentally, I wrote a post last Friday that speaks to keyword expansion through DSAs. Thanks for reading, Matt! I very much agree that DSAs are underutilized. I enjoyed your post, as well!